This charming little abecedary was first published in 1915 as a fundraising gimmick to support transportation workers and their families during World War I. 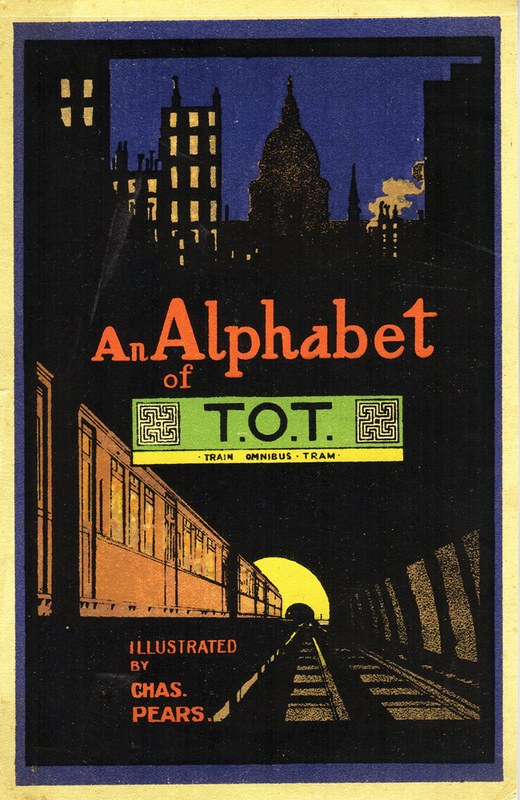 The illustrations—which brilliantly tie the letters of the alphabet to familiar words related to London transportation, like “I is Inspector and Interest too, If you won’t pay your fare they are waiting for you” and “M is the Map which will make every way of the mighty Metropolis plain as the day”—were created by artist Charles Pears, whose posters for the London Underground have become icons of early twentieth-century London life. Children will enjoy the clever images and wordplay as they learn their letters, while parents can appreciate the wartime context, which is laid out in Oliver Green’s introduction.